How is everyone? Today was a busy day again as always. I hardly get any rest, oh yes I am a hard worker. Haha. Today I will be reviewing another soap in my to-review list. It has been about 3 weeks or so since I've started using Gluta White and Firm and I think I can give my opinion about it now. I was in Puregold when me and my workmate this soap. It was on promo and I cannot remember the exact price. It was packaged as two 135g. soap with a free 90g. smaller soap. I remember reading somewhere that glutathione doesn't work unless taken orally so I was a bit hesitant to buy it. However after I read the promised benefits besides whitening, I gave in. I am fair-skinned but just recently I had tan lines because of frequent exposure to the sun when going to my job. I am a big fan of whitening soaps because the result it gives is more visible rather than creams, lotions etc. 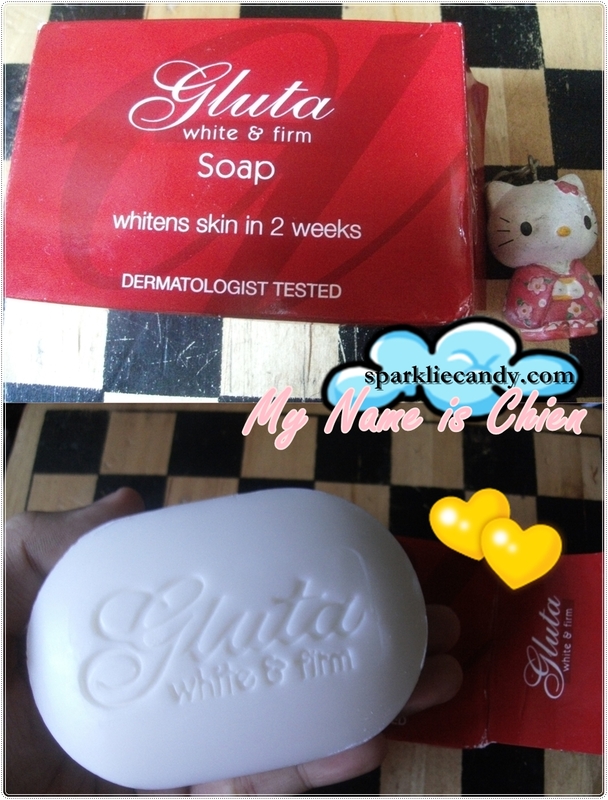 Gluta White and Firm Soap smells like a baby soap and it's super gentle to the skin. Unlike kojic soaps which I am used to, this soap is quite moisturizing. It's pretty bubbly for a whitening type of soap too, perfect to make an easy lather for massaging my skin for firming (which is included in the instruction). Did Gluta White and Firm Soap stayed true to its promise? Maybe I still need a few bars to see a firmer look. I have stretch marks on my legs and I really want them to fade. This soap moisturizes (not the Olay/Dove type of moisture though) but it doesn't dry out my skin. I seriously don't have age spots yet but I'll keep in mind this soap when the time comes that I get some. I haven't seen visible changes in my skin tone but I figure out that this can be the soap I can use after kojic soaps for maintenance since the latter is too drying when used continuously. Product is accessible. You can find this soap in Watsons, Mercury Drug, Puregold and more. Gentle to the skin and moisturizing. Probably, I'd love to see results with Gluta White. Now I am curious on the effectiveness of other glutathione products in the market. This is my first glutathione product and I am looking forward into trying out more. What soap are you using now? Share in the comments below and I'll see you in my next post! Is that soap really whitening yur soap?